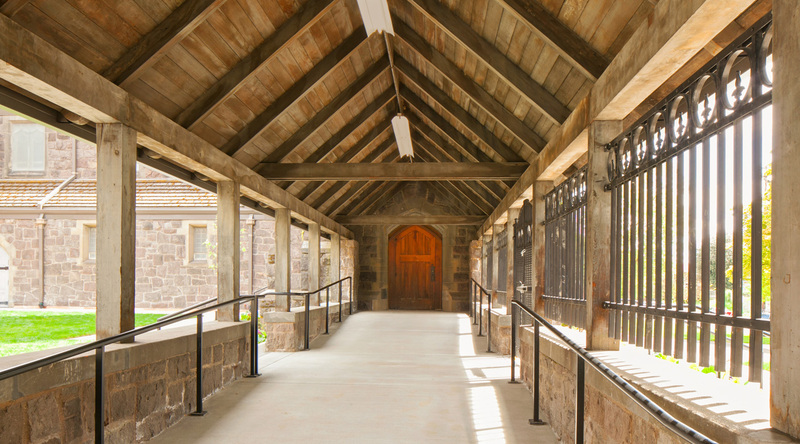 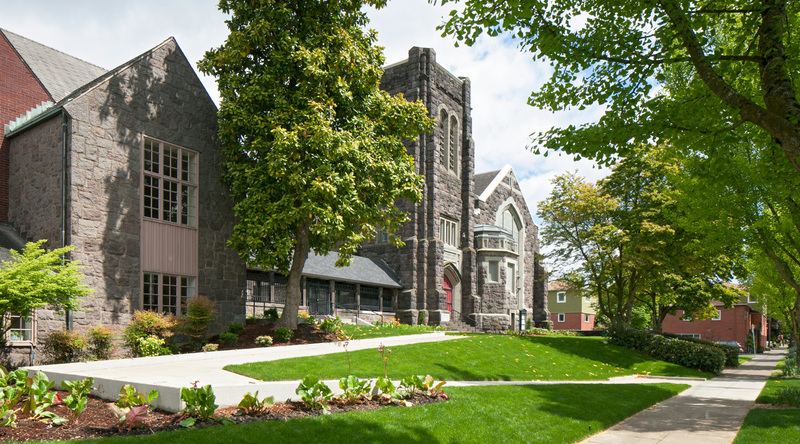 After being built through several phases between the years 1914 and 1953, the Historic Landmark was brought up to ADA standards and now provides accessibility to all levels of the church on the interior as well as new access ramps and entrances on the exterior. 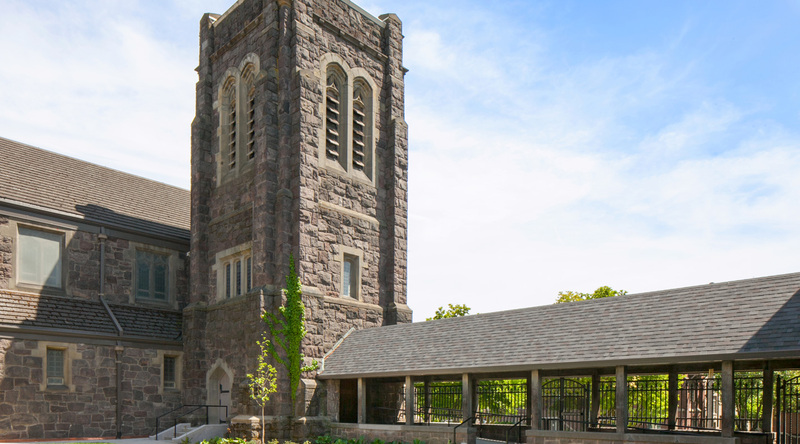 The first phase of this project involved building a subsurface corridor to connect the East Education and West Sanctuary wing of the basement as well as an elevator core for future installation. 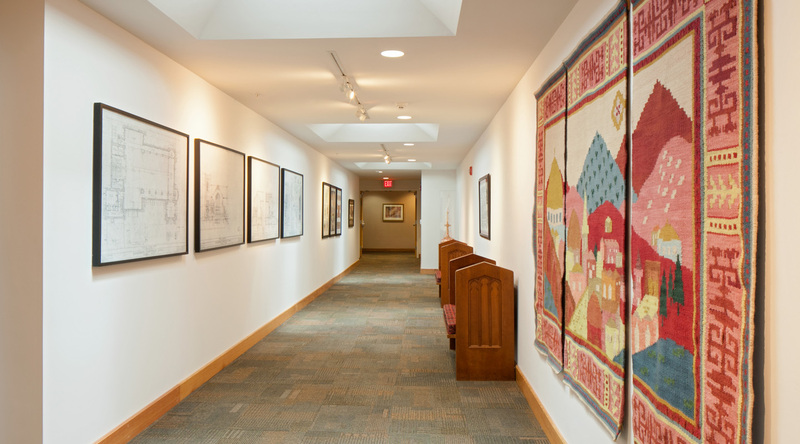 The new corridor included 4 skylights to direct natural lighting to the area, which also serves as an artwork gallery. 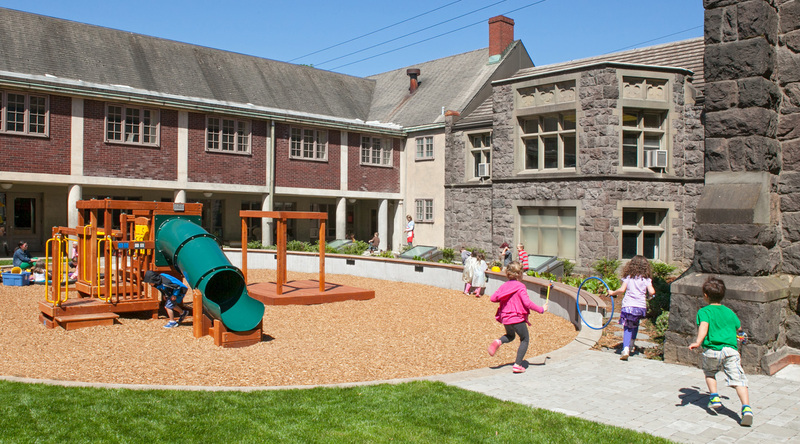 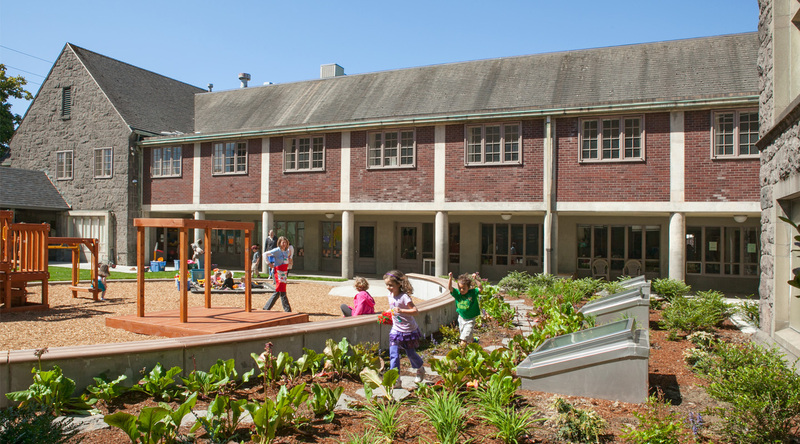 Additionally there was a new nature path and landscape area with an ADA accessible playground built in the central courtyard for the daycare and preschool children.